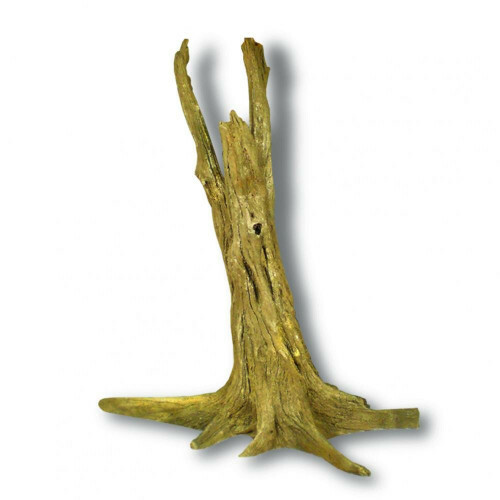 Our newest and one of our largest Tree Stump, this certainly is a statement to any tank that can support it. 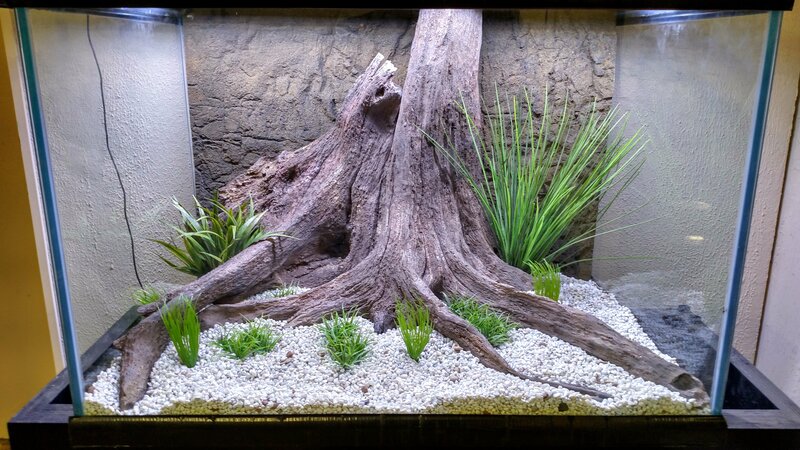 Although it is very tall, we are able to cut it down, as low as 22", to suit shorter aquariums. 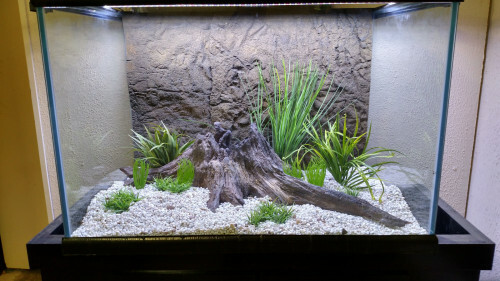 Its long sprawling roots can also be bent to fit into less wide aquariums, the tank we have pictured is 36" left to right, 24" front to back and 24" tall. 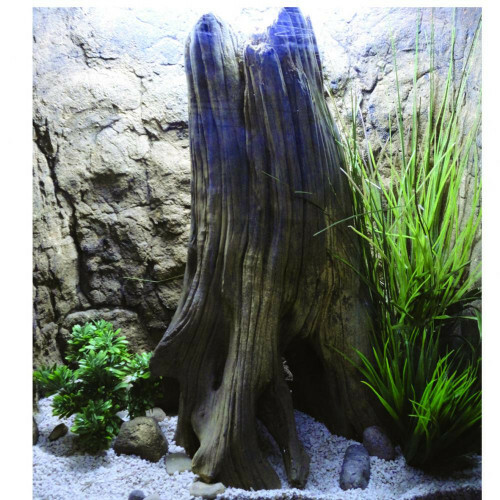 The back of this stump is open, and doesn't sit flat, fish will get behind it. In order to keep shipping costs as low as possible, this will come bent and folded up in a smaller box. As a result when you recieve it, it will be bent out of shape. It is possible to return it to its former glory by appling heat to the bends and letting it relax, either by putting it in the sun or using a heat gun.